AMD have always been Intel’s main competitor, and have a solid reputation for innovation. 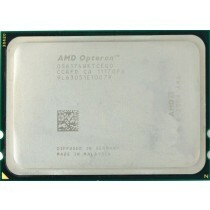 Buying refurbished AMD CPUs from Bargain hardware offers you a cheap and sustainable way of fulfilling your requirements. 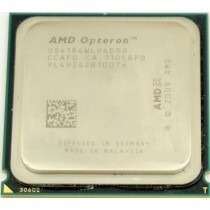 The Opteron range was the mainstay of AMD’s CPU offerings and in some computing benchmarks, the Opteron architecture has demonstrated better multi-processor scaling than the Intel Xeon. 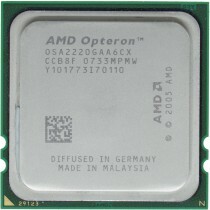 Refurbished Opteron processors are a great way to gain a efficient boost for your Workstation or Server at a budget price. More recently AMD is represented by the Threadripper and A Series processors. The A-Series processors feature in Desktop PCs and produce solid output for entry level computing through 2-4 threads. The newer range of Threadripper processors are where AMD processors shine, with anywhere in between 8 to 64 cores being available, you can truly bring your designs to life and render scenes like never before. Refurbished AMD Opteron Server processors are a cost effective way to increase your servers capacity without replacing old for new. 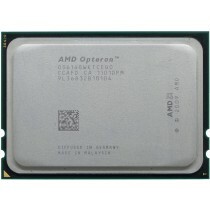 Opterons such as the 6234 are incredibly popular due to their 4-socket capabilities and 12-cores per processor, allowing for 48-Cores and 96-threads in a 2U compact chassis such as the Dell R815. Always offering fantastic value AMD refurbished server CPUs allow you to make use of rendering and virtualization with no comprise. Unleash your HPC with the AMD Epyc architecture, with larger memory capacity and greater memory bandwidth than their Intel Xeon competitors, the price per performance of refurbished AMD Epyc processors is second to none. With cheap prices available from Bargain Hardware for ex-corporate refurbished AMD CPUs it makes sense to upgrade your systems to the maximum they will support. We have a steady supply of AMD processors from our large corporate client base, who are regularly upgrading their offices and datacentres.